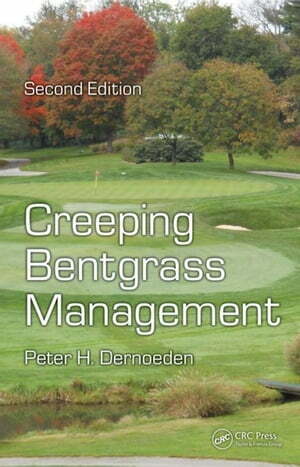 Collins Booksellers - Creeping Bentgrass Management, Second Edition by Dernoeden, Peter H., 9781466509931. Buy this book online. Creeping bentgrass is considered the premier turfgrass species grown on golf courses, and there is a growing demand for an understanding of its maintenance and management practices. Still the only comprehensive reference on the subject, Creeping Bentgrass Management, Second Edition helps you identify the factors that contribute to summer bentgrass decline and guides you in selecting the best approaches for stress and pest management. This full-color book delves into all aspects of modern approaches to creeping bentgrass management on golf courses. It describes the nature of mechanical, physiological, and environmental stresses and how they influence growth and management of creeping bentgrass. The book covers the selection of creeping bentgrass cultivars; cultural practices, including mowing, irrigation, and topdressing; the deleterious effects of organic and inorganic layers in golf greens; and ways to limit injury due to mechanical or physical stresses. It also discusses recent advances in the management of selected diseases and soil-related maladies of creeping bentgrass-from Pythium-incited root dysfunction to dollar spot, yellow tuft, and blue-green algae. The focus is on common disease symptoms, predisposing conditions, hosts, and cultural and chemical management strategies. Advances in biological disease control are also reviewed. The book offers practical guidance in selecting and using fungicides, herbicides, and plant growth regulators. It also discusses the use of non-selective herbicides and fumigants for the renovation of creeping bentgrass and outlines strategies for dealing with selected invertebrate pests. Throughout, color photographs help you identify diseases and stresses that may be affecting your own golf course. Fully revised and updated, this second edition of a bestseller features three new chapters, new photographs, and expanded information about diseases.